ATLANTA (June 20, 2017) – AirDog, leader in intelligent, all-terrain, autonomous camera drones, announces its partnership with Trevelino/Keller, a full-service digital public relations and marketing firm based in Atlanta. Trevelino/Keller will assist AirDog as it prepares to launch its newest release, the ADII, this summer. 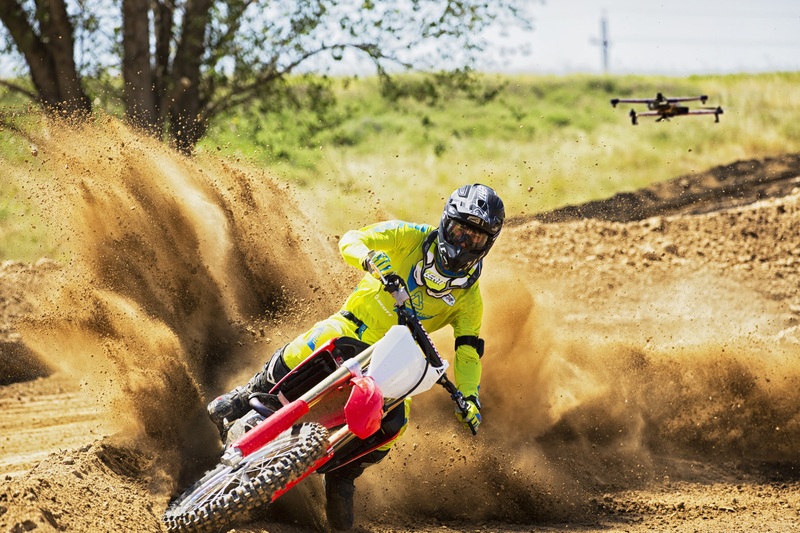 With motion-prediction technology and dedicated modes to ensure pristine footage in any environment, the AirDog ADII eliminates the need for manned operation giving the user complete active freedom with perfect content capture. Designed to meet the needs of extreme sport performance, AirDog’s ADII is the perfect companion for a wide-range of adventure and outdoor recreational sports, including trail running, surfing, backcountry skiing, mountain biking, wakeboarding and motorsports. “It’s the only camera drone on the market built for hands-free deployment from the ground up,” says AirDog founder and CEO, Edgars Rozentals. “We’re excited to bring on a nationally ranked agency to further establish AirDog’s reputation as a first mover in the auto-follow drone segment. We genuinely believe AirDog can serve multiple consumers levels, both as a performance tool and a creative studio, all in one. Trevelino/Keller has deep experience in scaling young companies, and the agency will work aggressively to position the next generation of AirDog within the mainstream, industry and sports performance media. Recognized for its success establishing brand reputation and market position, Trevelino/Keller is often sought by companies who need a concentrated go-to market strategy. Built for hands-free, from the ground up. The AirDog ADII is the first auto-flying camera drone technology that lets you go hands-free in elements as demanding as outdoor sports (terrain, high speeds, wind, water, extreme motion). Other camera drones are still manually piloted with “follow” added as a feature to assist the pilot with capturing motion shots. Trevelino/Keller is a digital public relations and marketing firm serving disruptive and scaling companies across seven practices – Technology, Healthcare, Financial Services, Food & Beverage, Franchising, Lifestyle and Environment. Its services include public relations, digital marketing, demand generation and creative services. Groovy Studios, its creative brand, delivers brand identity, graphic design, web services and dynamic content. Headquartered in Atlanta, the firm ranks as this year's 10th fastest growing firm, second in the Southeast. It also ranks in 9 of 12 industry segments. For more info on Trevelino/Keller, visit trevelinokeller.com.